Egypt's national image needs to be polished and modified, if the country wants to attract investment. Why stay economically engaged in Egypt? Investors have been hesitant in terms of investing in Egypt, but there are reasons why they should bullish. What do Tourism Minister Zazou, Former Foreign Minister Al Orabi & Strategic Expert Seif El Yazal have to say about Egypt's image abroad? Find out how the national plan for Public Diplomacy should unfold, and how to influence global perception. Egypt's national image needs to be polished and modified, if the country wants to enhance its trade balance. Egypt's BOP: What money went where? Gulf aid, FDI, oil trade, tourism, private transfers – find out which money flowed into Egypt in Q1 2013/2014. Find out what the private sector can do for Egypt's national image in terms of marketing and communications. Have a look at Egypt’s latest statistics and economic indicators in the Ministry of Finance’s Financial Monthly for November 2013. Current projections show that by 2025, water supply in the Arab region will be only 15% of what it was in 1960, according to the United Nations. Egypt has a mobile penetration of 115%, while the internet’s contribution to the country’s GDP lies at 1% - read more in our report. Missed the 9th Money and Finance Conference? 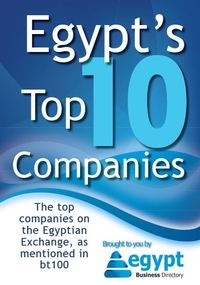 Download all you need to know about Egypt’s industrial real estate challenges and opportunities. Everything you missed about Egypt’s economic development strategies at the Money and Finance Conference 2013 – download the free report here.